Home / TV Stands / Modern TV Stand with Storage For TVs Up To 60"
Important: Holds TV's up to 60" when TV is measure diagonally. Actual unit is 55" wide but TV overhang on either side is suitable. 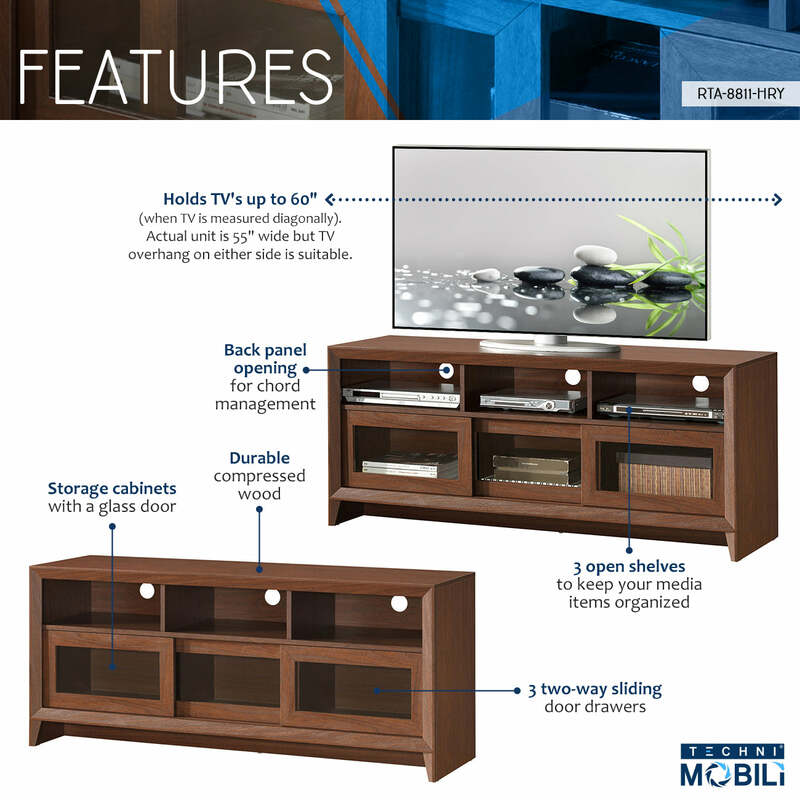 This Techni Mobili TV Stand, for TVs up to 60", is designed to fit any bedroom or family room. It includes three two-way sliding doors revealing storage space as well as three open storage shelves for accessory storage. Shelves have a back opening for cable management. The variety of storage space allows for a variety of placement options for your electronics and gaming accessories. The cabinet is made of compressed wood that is resistant to scratches with a moisture laminate surface. Important: Holds TV's up to 60" when TV is measure diagonally. Actual unit is 55" wide but TV overhang on either side is suitable. Weight capacity 110 Lbs. Color: Hickory.